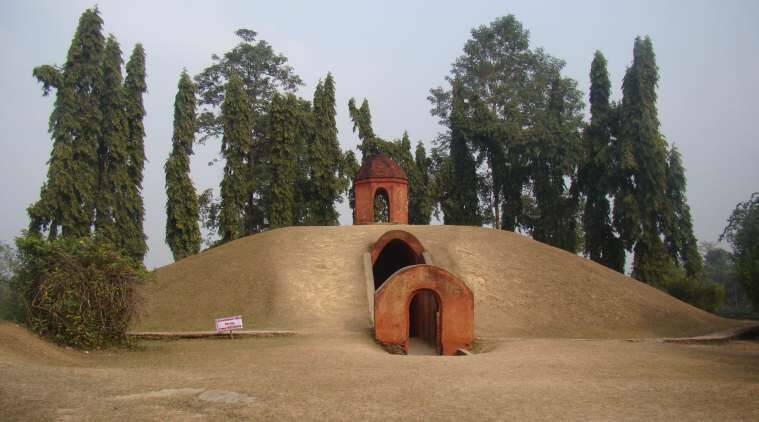 The Ahom Maidam in Charaideo is protected under Assam’s Directorate of Archaeology. Around the time the popular Kelvin cinema hall in Guwahati was demolished to make way for a shopping mall in 2012, local resident Mintu Ali on his morning walk, found a mound of broken stones buried in a pile of earth. It was the monsoons, and as the rain came down heavy in the area, Ali noticed what looked like an eye chiselled on one of the stone pieces. He looked closer, and found a nose. Ali immediately alerted the Assam’s Directorate of Archaeology, and members of their team were dispatched to the site. Among the 24 sites, three fall under the Kamrup district (including Momai Kotah Garh), four each are in Golaghat and Nagaon districts, and 13 in Tinsukia district. These include historical pukhuris (ponds), maidams (burial grounds), a mosque (Pub Moiradhaj Mosque in Nagaon’s Dhing district) and even a battlefield (the Battlefield of Alaboi where the Assamese took on the Mughals in 1669). “To begin work, we first build a boundary wall or a pathway around the site, if required,” says Sharma. The department has a strict rule of strictly no development or construction within 300 meters of the site. The biggest among the 13 demarcated pukhuris is the Borpukhuri in Tinsukia near the Sarbananda Singha Stadium. 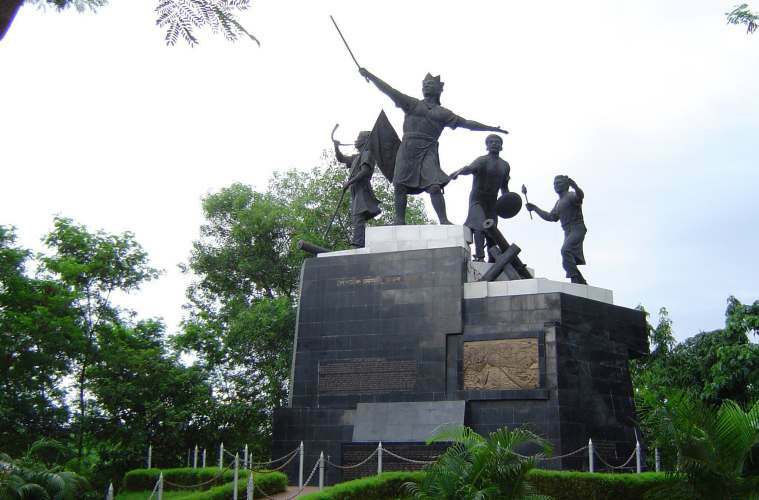 Sarbananda Singha was the king of the erstwhile Matak kingdom. He had made 24 such tanks all over what is present-day Tinsukia. In March, the Directorate found remnants of an ancient temple in Moiramora Than at Jokai in Dibrugarh. The excavated material—including, earthenware, broken stone images, dressed stone slabs etc—has been sent to the Wadia Institute of Himalayan Geology, Dehradun, to determine which period it is from. “This discovery could very well open a new chapter in Assam’s history,” says Sharma. The Directorate also regularly organises camps raising heritage awareness. Every year, during the World Heritage Week in November, they hold such camps in different sites of archaeological relevance around the state. “Whether it’s Gargaon or Dhakuakhana or Pingaleshwar, we make sure to go to every nook and corner of Assam,” she says.